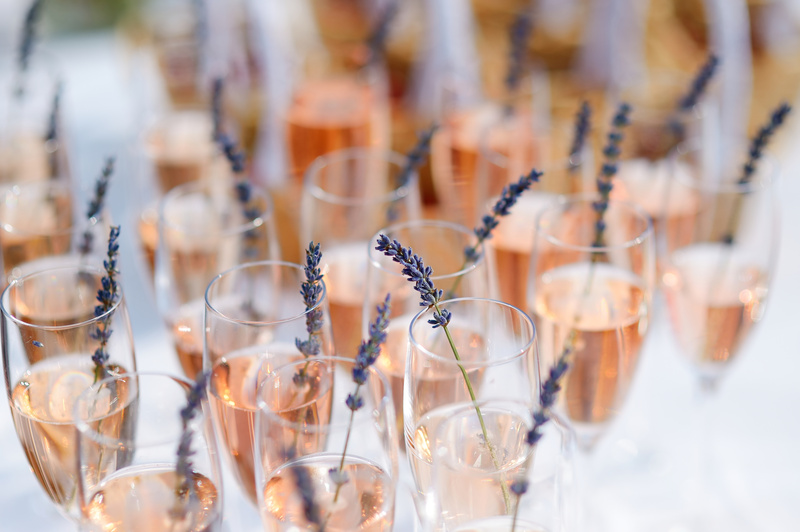 Should you have an open bar, a cash bar or something in between? After doing some research on this subject and pulling from our own experience, we’ve realized one thing for sure, this is a very polarizing topic. 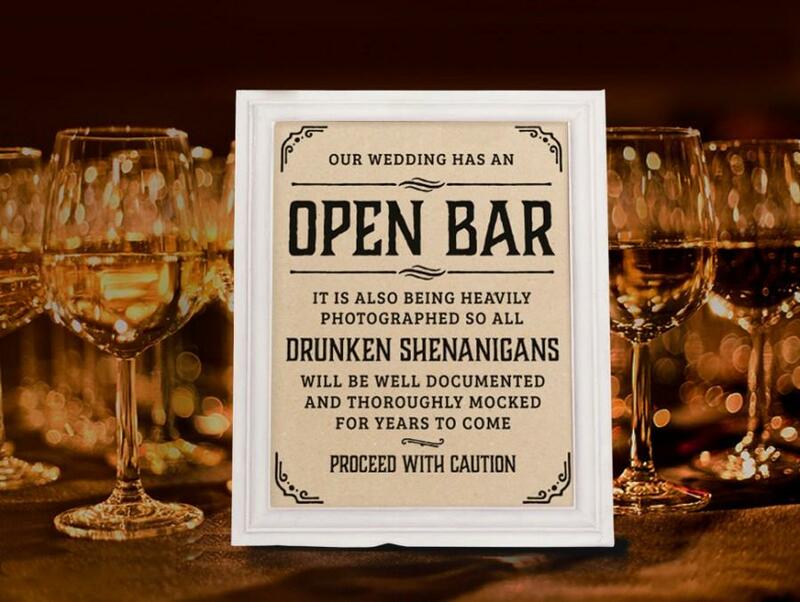 Cash Bar vs. Open Bar is an epic battle with strong supporters on either side, but with wedding etiquette shifting it’s hard to know what the right answer is. Modern couples are steering away from the typical wedding traditions and more power to them as 50% of weddings are paid for by the couple themselves. Luckily for them, there are a lot more options now and less expectations when it comes to throwing a wedding. If you need some help deciding on the bar portion of your day – you’re not alone. We’ve weighed the pros and cons of each to help with your decisions. The obvious pro is the money you’ll be saving. If you are working with a tight budget or an already stretched budget having a cash bar might be your best option. Depending on how many guests you have and how much they like to party, this could be a major savings from your wedding. Guests tend to drink less when they are footing the bill and that can sometimes result in the party ending earlier. If you are hoping for an epic party that your friends and family will be talking about for years to come – A cash bar may not be your best option. In the research we have done we noticed that some people feel a cash bar is not proper etiquette. You are inviting people to celebrate with you and asking them to pay for something ( in addition to gifts and sometimes travel) could be considered rude. Guests pay $2 for each drink regardless of what they order. The cost is minimal so your guests can still enjoy a couple of drinks and get into the party mood. They will be more conscious of their consumption and are less likely to ‘loss track’ of their drink and just get a new one. It subsidizes your cost – which is a huge bonus! As with a cash bar, some guests may feel put off that they are expected to pay (even a small amount) for their own drinks. Special items are available for free, typically beer and wine. Guests get the best of both worlds and you do too! You’re able to treat your guests and still save some money. Most of your attendees will be more than happy with wine on the table, a signature beverage or beer at the bar. Some people may not like the options provided. Guests are provided with a set number of tickets that they can use to get drinks. This option allows you to treat and save. If you provide your guests 2-3 tickets they can enjoy a couple drinks of their choice and if they wish to continue drinking after their tickets are finished, they have the option to pay. As with Toonie and cash bars, guests have something they need to keep track of. Women may not have pockets or want to carry their purse all night and this would require someone to look after the tickets. This option has more logistics to consider. Will you have extra tickets if someone says they lost theirs? Some guests may feel offended if you give extra tickets to someone else. Are you worried that some people may go around and ‘relocate’ tickets from one guest’s spot to their own? If so, this option may be more trouble than it is worth. Guests can drink what ever they want. Your guests will definitely appreciate this. It allows them to really let loose and party with you and your new spouse without having to worry about carrying cash. Some guests may go overboard and order large rounds or ‘lose track’ of their drinks resulting in them just getting another. Open bars increase the likelihood that someone might get too intoxicated and cause a scene. It may cause a distraction as people will be constantly heading up to the bar and maybe even hanging around the bar. You don’t want them to miss the first dance! People tend to drink more with open bars meaning your bill will not be a small one. As with any decision you make for your wedding, do what feels right for you. It might be helpful for you to make a list in order of importance. 1.Bride and Grooms attire 2. Photography 3. Epic Party 4. Center pieces .. etc. Maybe your liquor budget is at the top of the list, maybe it’s at the bottom. Posted in Wedding tips on August 3, 2017. Tagged with: Cash Bar, Open Bar, Toonie Bar.